Social Meditation is a group practice that facilitates creating a culture of nowness, by bringing the wisdom of meditation into the vibrancy of social interaction. 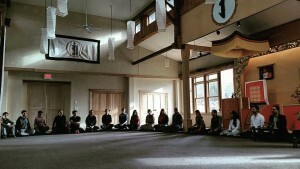 It is often practiced weekly at some Shambhala Centers as an ongoing form of leadership development and community building. Group Mentors and Group leaders will find this retreat an opportunity for a deep dive into the essence of the practice, and will deepen in their skill-set for leading groups. Those who would like to start a group or deepen their skills in participating in a social meditation group, are equally encouraged to take this leap. The retreat will feature ample silence, sitting meditation and social meditation sessions, in the drala soaked landscape of Gampo Abbey the seat of the Shambhala Monastic Order. We will be joining the Garuda year residents. 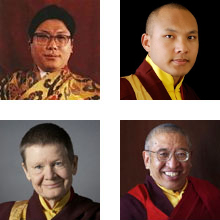 Program Fee $1,000 CDN – includes meals and accommodation in the Söpa Chöling long term retreat center at Gampo Abbey.